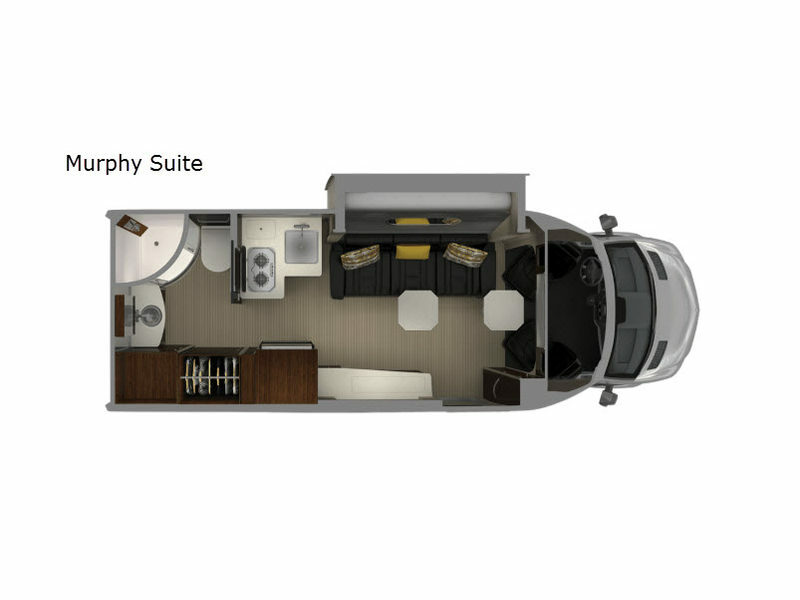 A luxury experience is what you will expect when riding and staying in this Atlas Murphy Suite class B+ diesel coach. The heated captain's chairs that swivel to provide more seating in the main cabin area, the slide out Villa power sofa with integrated Murphy bed, and the 40" LED widescreen HDTV and soundbar on a power lift are a few of the luxuries you will notice. Just imagine shopping in town then returning to the RV park to make dinner in the convection microwave while your spouse gets cleaned up in the full bathroom with a cedar-lined wardrobe closet. You can travel and live in modern style all while enjoying the scenery along the way in this Atlas. Step inside today! The Atlas class B+ diesel coach by Airstream provides outstanding performance from the Air Ride suspension system, the multi-function steering wheel, and the Mercedes-Benz chassis and engine. You can keep cool thanks to the Quietstream climate control system, and enjoy long naps on the Froli ergonomic sleep system which includes interlocking springs for a supportive and comfortable sleep. With 50 plus Best-in-Class features, you will find something new to love each time you take a trip.